Continuous data breaches make it hard to validate identities. 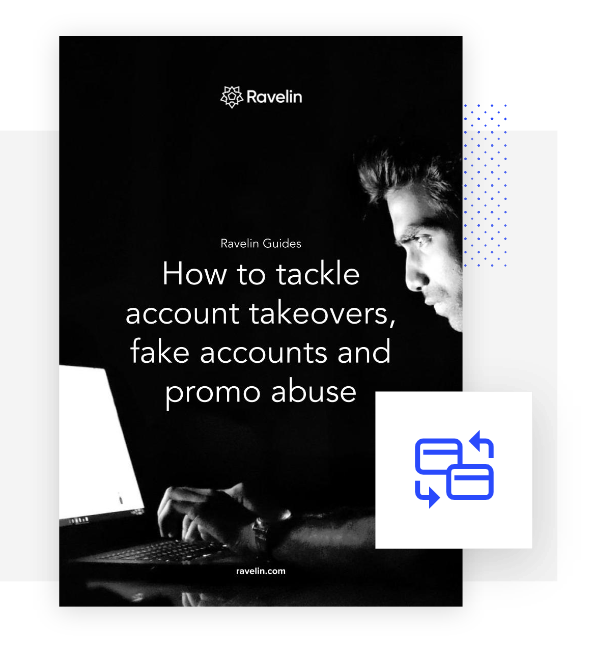 Learn how to manage and prevent the threats of account takeovers and fake accounts. © 2018, Ravelin Ltd. All Rights Reserved.